I believe Unsound Recordings is a sublabel of Unrest Productions the label run by Martin of Shift. 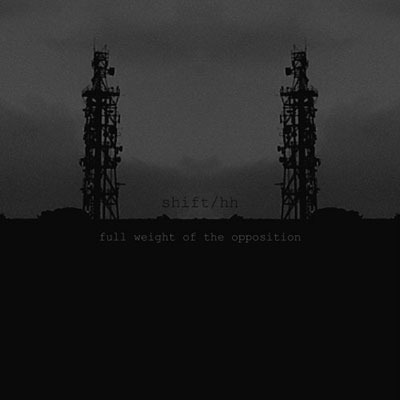 Shift, having been reviewed here before releases sounds ranging from raging power electronics to minimal harsh noise. Hal Hutchinson however, I am unfamiliar with so this is my first exposure. The packaging here is simple stock with black & white print. Nothing to write home about but a decent presentation. Pigshit is the first track which takes up all of side A and immediately we are thrown into the trash compactor with an overwhelming bed of junk noise. It somewhat reminds me of the second disc of Grunt’s Seer of Decay album. The difference here is that there are clear aggressive power electronics vocals over the mix which surprised me because the mix already sounded so full. The textured sounds of absolute racket are great and detailed with production that harkens to something heard from Hum of The Druid, a project much lauded for their excellent field recordings and low-end rusty textures. Side B contains two tracks and kicks off with Truth is Conflict which follows suit from Pigshit. Similar sounds and compositional layout – harsh vocals over junk noise – which is fine by me because after side A I wasn’t quite done with it anyways. I’m glad there was more. Their Fall Will Be Harder Than Ours follows it up nicely and provides a change just when it is needed. The change is to pulsating synth attacks which I can coincidentally compare to Grunt’s Seer of Decay once more (but this time disc I). The vocals here are simple – more dry – and somewhat taunting and not as aggressive. Anytime an old school euro pe track like this appears on a record I am always down. Full Weight of the Opposition is a fantastic effort that really came together well. You can tell these two artists clicked very well when working together because what they have produced here is brutal slab of powerful electronics and concret noise. Very aggressive and stylish, flawlessly executed.